I’m from a growers family in India. We grow coffee, mandarin, rice… When you are young you have to listen to your parents and that’s why I started to study agriculture. I found out I like it. Why did you decided to go to Kenya? My father, grandfather and further back family stayed in India. 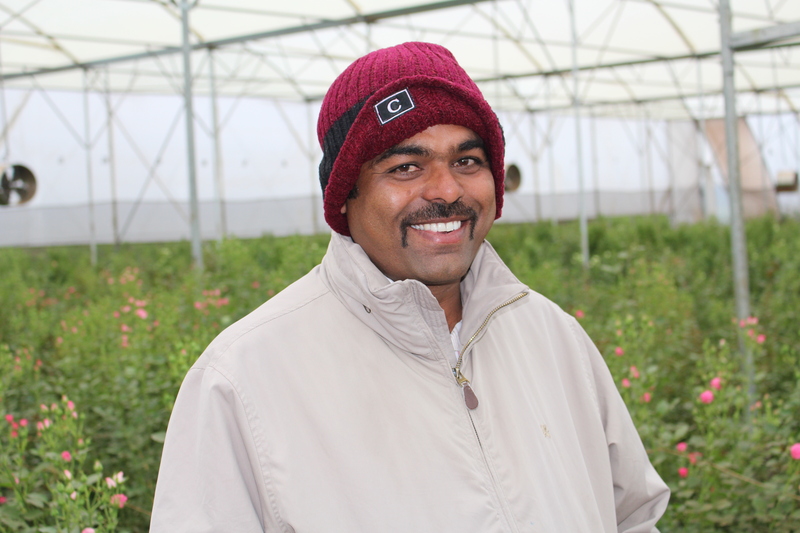 My father was in India a good grower of ginger but I wanted to do something else so I went to Kenya. I like to hunt, to be in the field with the plants and the herbs, I like to be in nature. 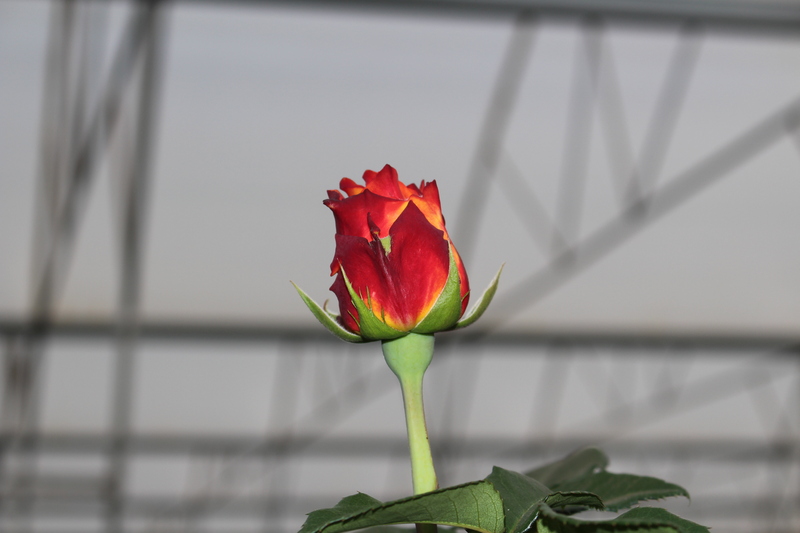 I learned about the flower business from others and put my own spirit in growing roses. What makes you different than other growers? We collect all the water, to reduce the chemicals, to use biologic for the roots, worming culture. Next to this we make our own fertilization with sugar and meal to spray on the leaves to avoid damage by insects. The insects eat the meal instead of the leaves. 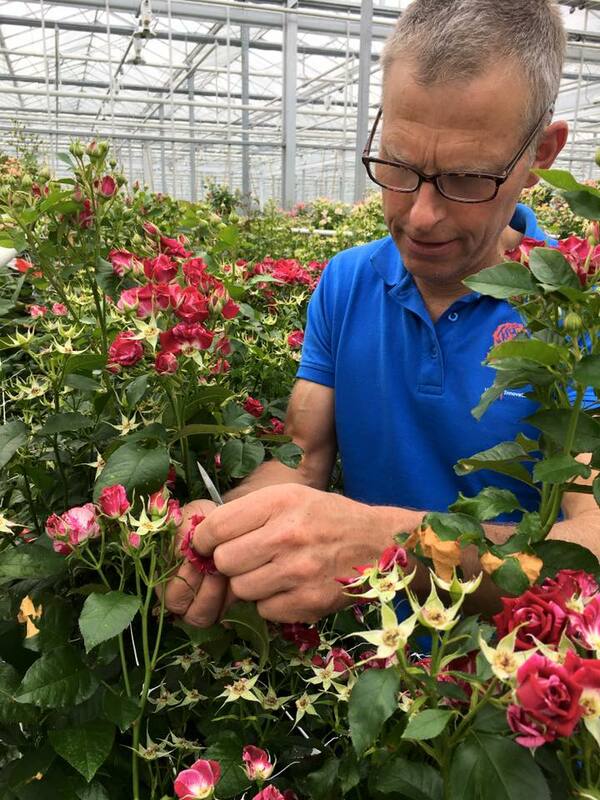 Every day is different and it’s very dynamic to be in flower business. There’s always something to solve and you have to keep your brains sharp. Working international with different kind of people is what I like. I’m also a member of FPC in Royal Flora Holland. The novelty line of the roses is on Akina testing farm. The fragrance roses are coming like Ohara. We have 30 varieties in large commercial testing. 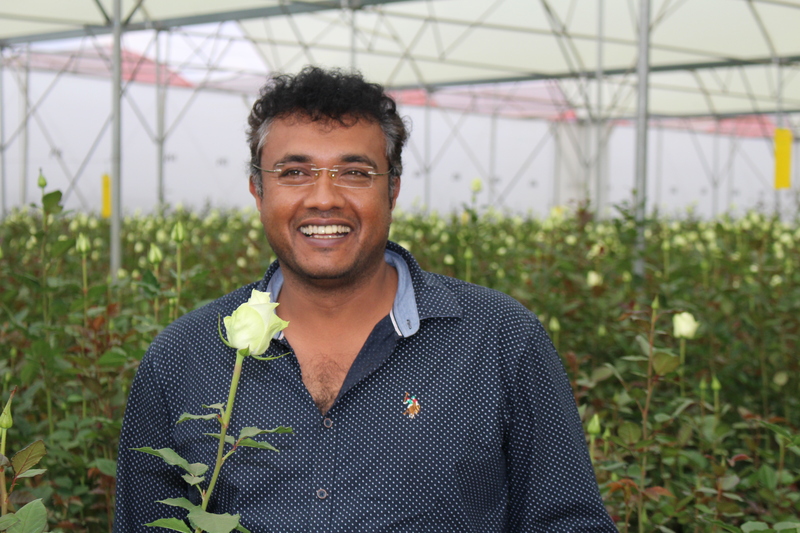 Fragrance roses is getting more attention because of the experience we want to have with roses. Going back to basic is going back to our Roots with smell and experience. My Future wish is to find new colors and to work more by nature.To learn from nature I go back to my Roots. 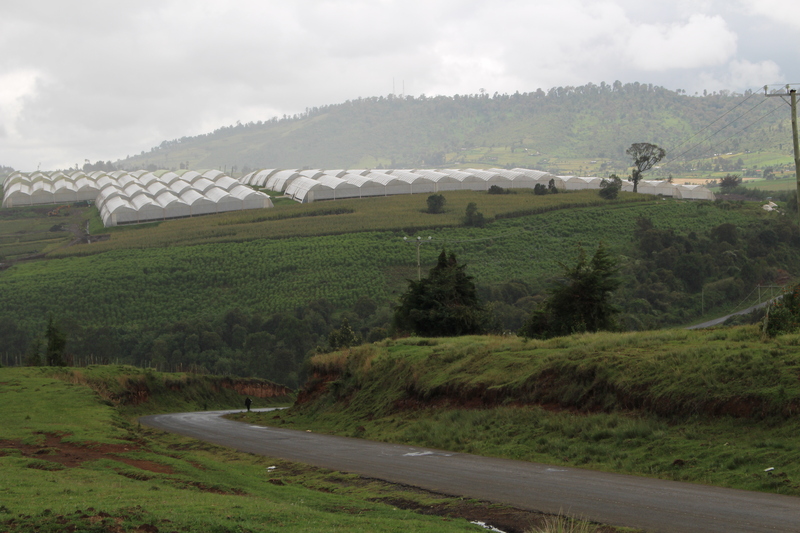 Driving to Ayana we see a farm in the clouds at 2.600m altitude. At this farm Girish works with cows. With the stool of the cows he makes a liquid plant nutriate. 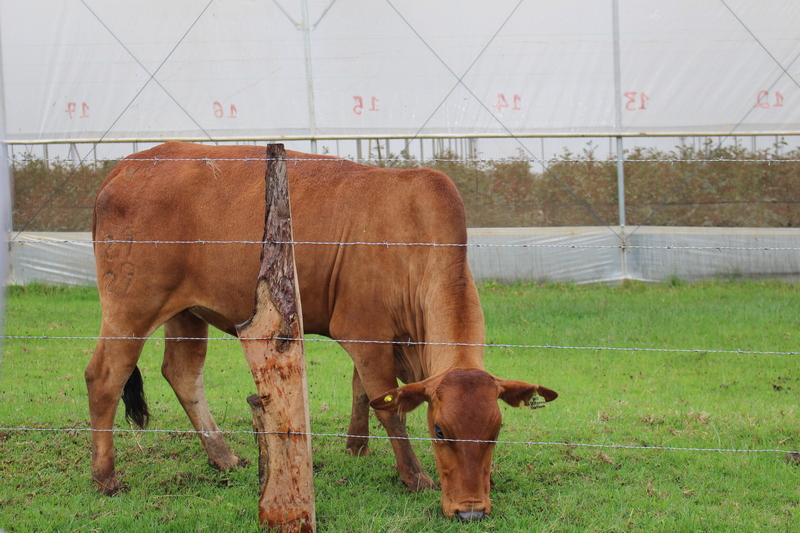 Using the Zebu cow is to boost the immunity of the plant; by bringing back beneficial micro organism you add to the soil. To keep the soil alive we use nature. The roots keep more healthy and stronger. No! chemicals in the soil. When you google Jeevamrutha you will find they operate this way in India 3000 years ago. In India they work with spices like garlic and nettle as a liquid for the soil. Spices are also very good for peoples health. Nicolette; Finding our Roots by nature we focus on the future.. 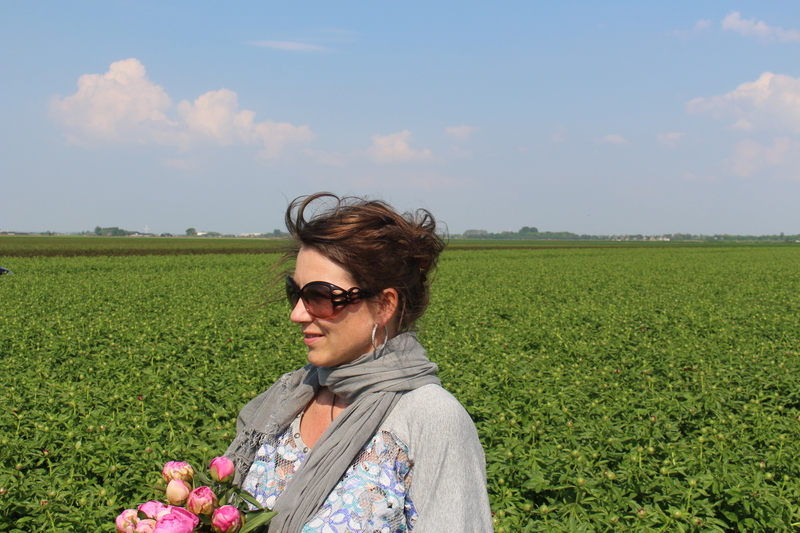 In our concept ROOTS® we select quality flowers from the best growers for florists in Europe. 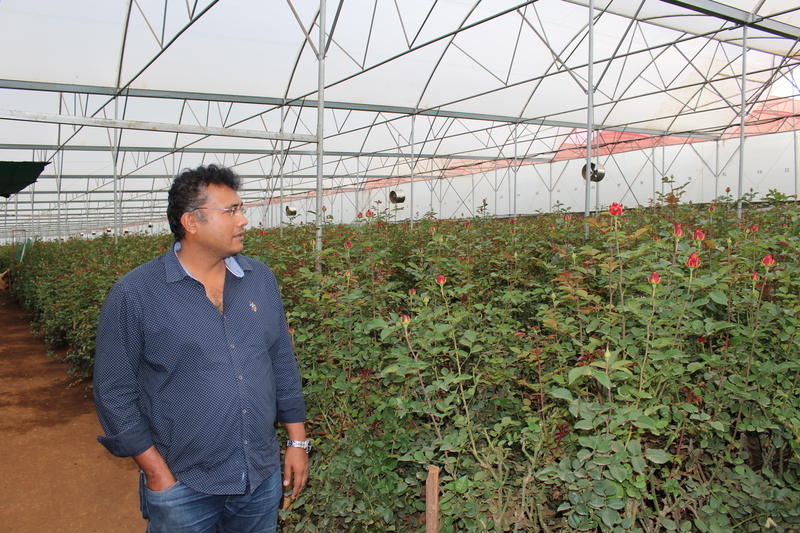 The real story from Kenya….. high quality roses ensures social & financial sustainability. Fair trade is fair when everybody in the chain get paid for his work. 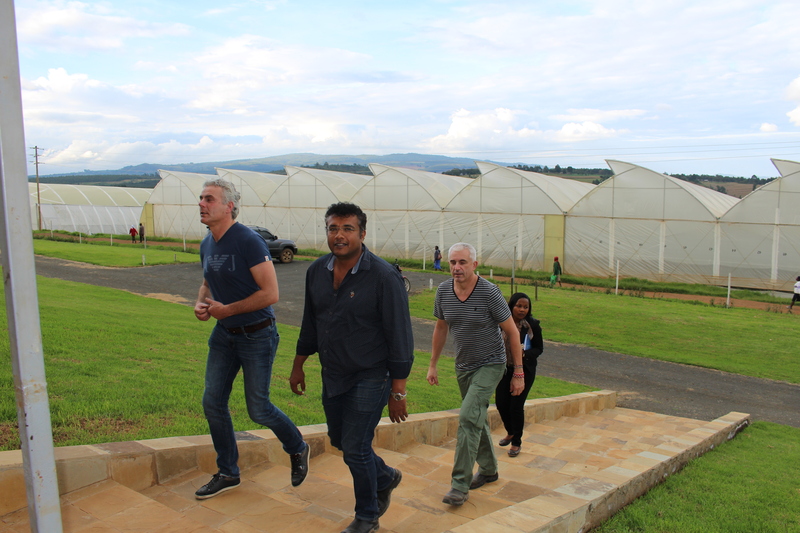 To know exactly how we can prove transparency of our flowers I had a meeting with Jane of Kenya Flower Council. KFC is a private company and owned by the growers. Since 2008 they became professional through accreditation by Sanas. Sanas audit KFC and checks if they follow the national rules. KFC checks on environment, water regulations, wages, social and financial sustainability, health facilities, local rules, contribution of social funds. 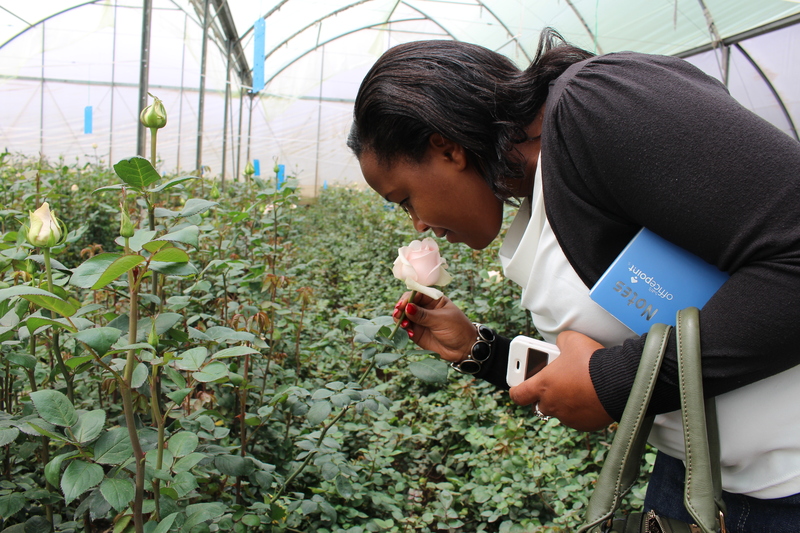 In Kenya 80 % of the growers is member of Kenya Flower Council. When you are member they audit you once or twice a year. 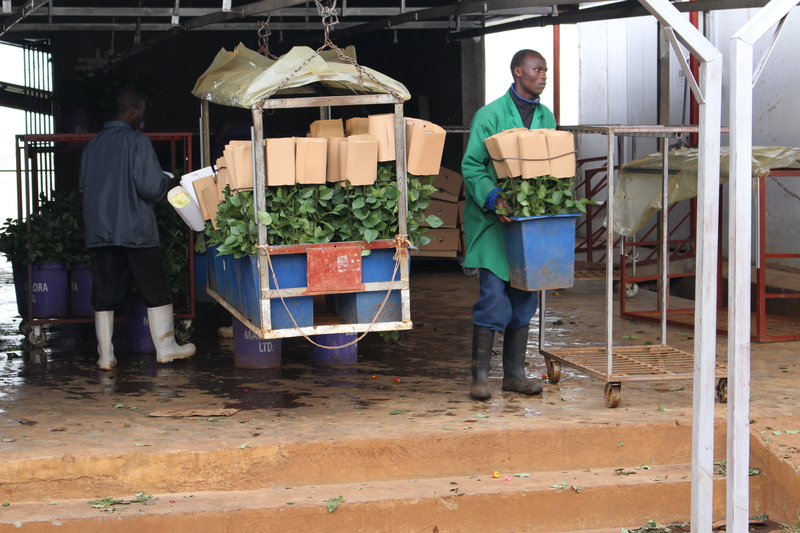 The KFC certification starts with KS 1758 and stands for Kenya national standards for good Agricultural practice. It is also possible to become a KFC gold member. This is up to the grower himself when he wants to pay for his employees kids funds and other extra’s. It’s not good to make people dependent of the farm by ‘giving’ them everything. You have to learn the people to think for themselves and take responsibility for their own lives and for their families. I did not know selection of roses is such a labor intensive process. A lot of patience is needed before you can finally present a new rose..
Never forget one beautiful flower can say more than a large bouquet. 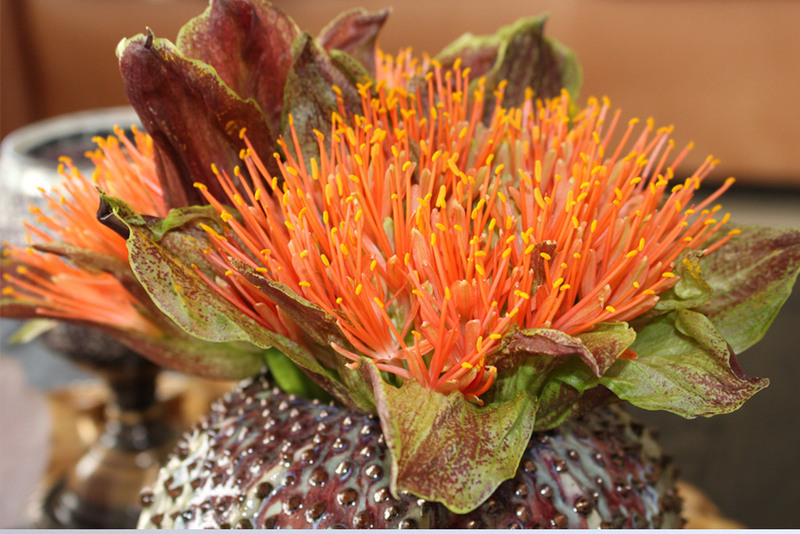 Scadoxus - Force of nature!